Caps undefeated season with two victories in sabre. Sometimes, Lauren Cappello needs to audibly tell herself to relax on the strip. 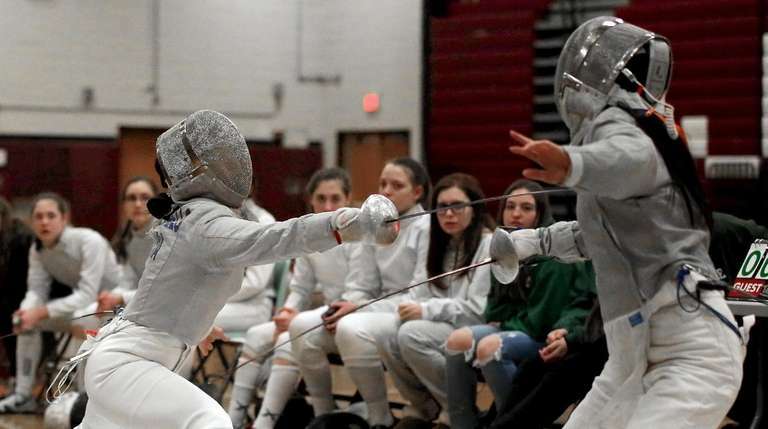 Facing a deficit in her second bout, the Ward Melville girls fencer did just that. 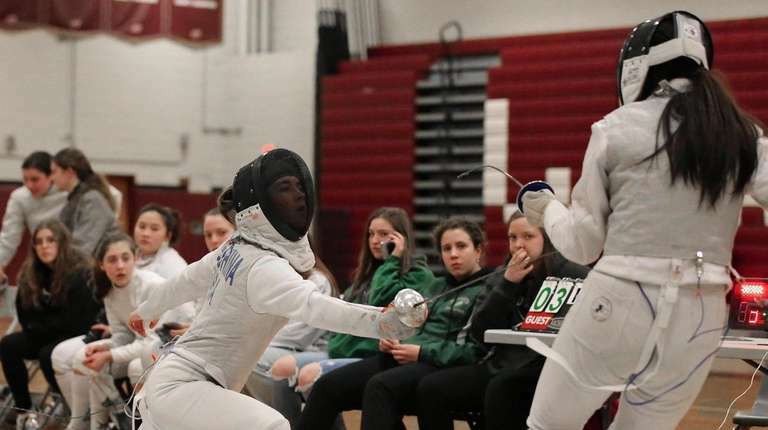 Cappello put a bow on her undefeated season in Wednesday’s night’s 14-2 win over Great Neck South in the Long Island fencing championship at Whitman, earning wins of 5-1 and 5-2 in sabre. 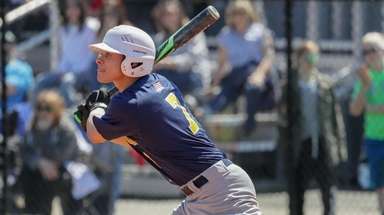 The Patriots have won 16 of 17 Long Island titles, the lone blemish coming in 2016 when Half Hollow Hills won the crown. 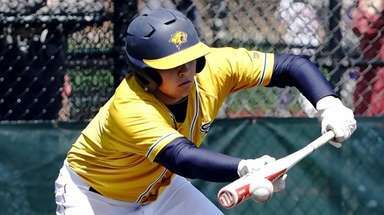 Ward Melville (13-0) has also won 52 consecutive matches. Cappello coasted through her first bout but went down 2-0 against Mary Ye in her second bout. That’s when Cappello collected herself, scoring the next five touches and moving to 23-0 this season. Late drama was provided by Ivanna Zavala-Arbelaez and Sandie O’Brien as Ward Melville closed in on the title. Zavala-Arbelaez led 3-2 in foil against Ann Yoo, but Yoo tied the score at 3 to raucous applause from the bench of Great Neck South (16-1). With a flurry of coordinated lunges, Zavala-Arbelaez earned the final two touches for a 5-3 win and a 12-1 Ward Melville lead. Two bouts later, O’Brien trailed 2-1 to Sabrina Dao in foil before recording the tying touch with time winding down. 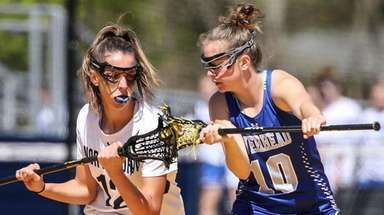 She scored the winning touch with 11 seconds left in the overtime period for a 13-2 Patriots lead. Senior Catherine Cao earned the match-clinching point with a 5-2 win in epee. Dianna Nielsen and Olivia Calise both went 2-0 in sabre, and Brooke Herbert and Olivia Becchina won their lone epee bouts. Great Neck South freshman Mandy Li earned the Rebels’ two points, capping a remarkable first year on varsity. The foil specialist went 39-0, winning the Brentwood holiday tournament and a Nassau individual championship. But her efforts were not enough to stave off another chapter in the storybook dynasty Ward Melville has penned for nearly the last two decades. 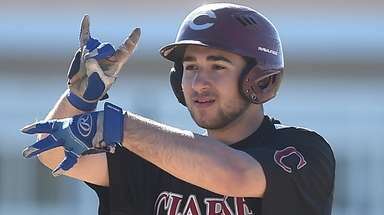 Kenny DeJohn joined Newsday's high school sports department in 2015 and has covered multiple state championships, Division I athletes and Long Island's top high school programs. He also covers Stony Brook University women's lacrosse.